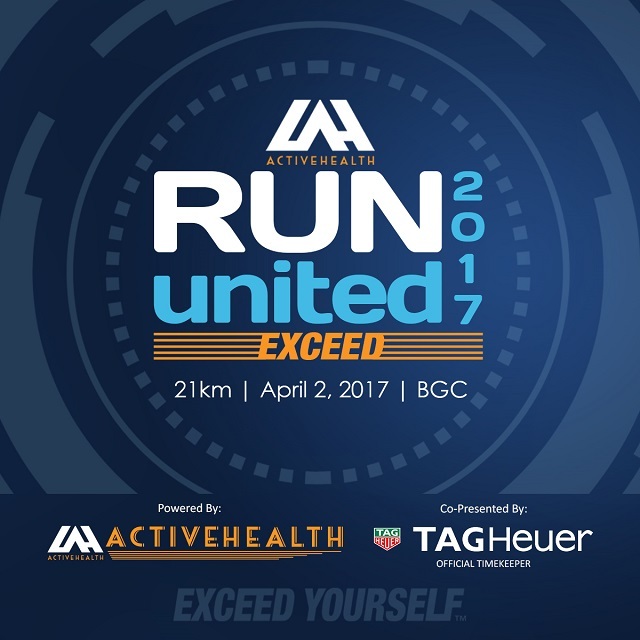 ActiveHealth introduces the new Run United Exceed, a prestigious and exclusive 21km race co-presented by Tag Heuer will be held in BGC, Taguig on Sunday, April 2, 2017. It is set to revolutionize the running landscape by introducing world marathon major inspired innovations that will push runners to exceed themselves. Some of the Innovations to help breed next level 21km finishers include: exclusive medal for sub 2.5 hours’ finishers, FREE UNDER ARMOUR shoes to the first 15 negative split medal finishers - And to keep our runners motivated while they push themselves, the course is lined up with cheer stations in key locations, to help boost their moral. To further add to the thrill of the race is the moving cut off banner making sure runners make it in time. 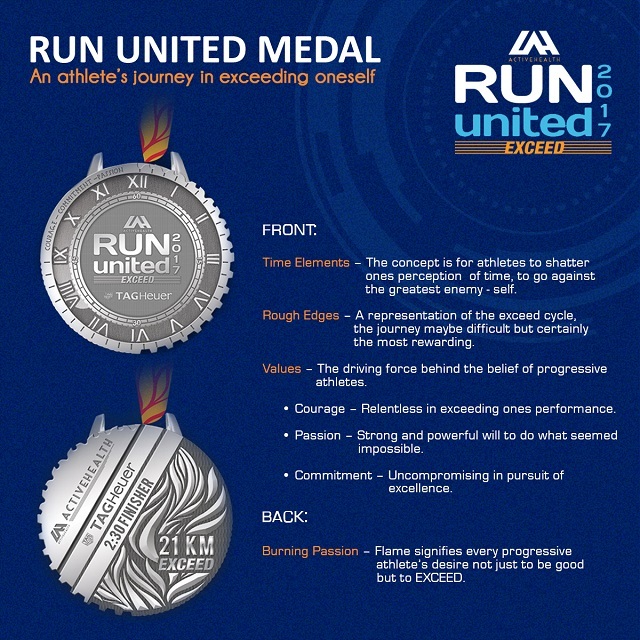 All participants are also entitled to discounted privileges from partner merchants and a Run United Exceed Kit inclusive of race shirt, event shirt and other items. Guaranteed slots to Angkor Wat International Full Marathon or Angkor Wat International Half Marathon await 2 lucky finishers. Like any other world marathon major, Tag Heuer is the official timekeeper of Run united Exceed. The concept is to shatter ones perception of time - To go against your greatest enemy, yourself. This race will give birth to the next generation of high performing Half-Marathoners that have the relentless drive and determination to exceed the time they have set for themselves through proper training and sports nutrition. “We have been doing the progressive races for the past 6 years. For 2017, we believe that it is time to take it to the next level. We want to build a new generation of athletes whose objective is not to just to finish, but to EXCEED.” according to Lester Castillo, Brand Manager of ActiveHealth. ActiveHealth has been in the forefront in providing an incomparable race experience. It is the only race in the country that offers an integrated holistic solution for progressive athletes, grounded by its 4 pillars - training, nutrition, gear and events. 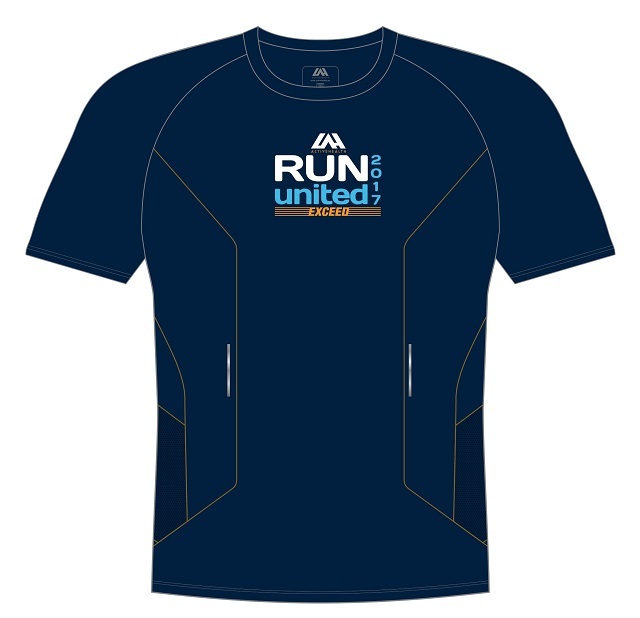 Run United Exceed participants are guaranteed that they are well taken care of in all areas from training, nutrition, gear to recovery. Connectivity to sports experts, running community, performance tracker are just some of the other special privileges provided to participants through the ActiveHealth Community Application. For more information about Run United Exceed, ActiveHealth and ActiveHealth Community App, please visit www.activehealth.ph and stay connected through facebook.com/UnilabActiveHealth and twitter.com/ulactivehealth. What is your #IWILL story for 2017?